We are a startup called This Hat and focused on working with our clients to unlock their potential through the provision of a variety of services, from coaching and consulting to training programmes. We are looking for a corporate identity design which would include a colour scheme suggestion, a unique logo and theme design. The concept behind the brand (This Hat) is that by offering different services, we wear a different hat for each of these, therefore tailoring our offering the the exact needs of the client. The design should be simple and recognisable, pictorial or a combination of image and words (not just the company name or initials please). 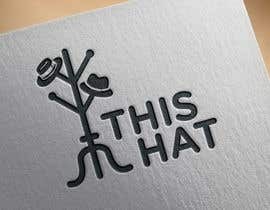 - We are looking for a logo that can stand on its own (without the brand name "This Hat") and still be recognisable. - We do not want a logo that consist just of a hat and the name. We want something more unique. - The company provides consulting and training services to other businesses and to executive / senior people within them. Therefore we want our brand to be fresh while still being highly professional. Please check entries #49, #56, #57, #58 & #59. If you want any changes in these designs just fell free to tell me that.. The brand name is "This Hat".